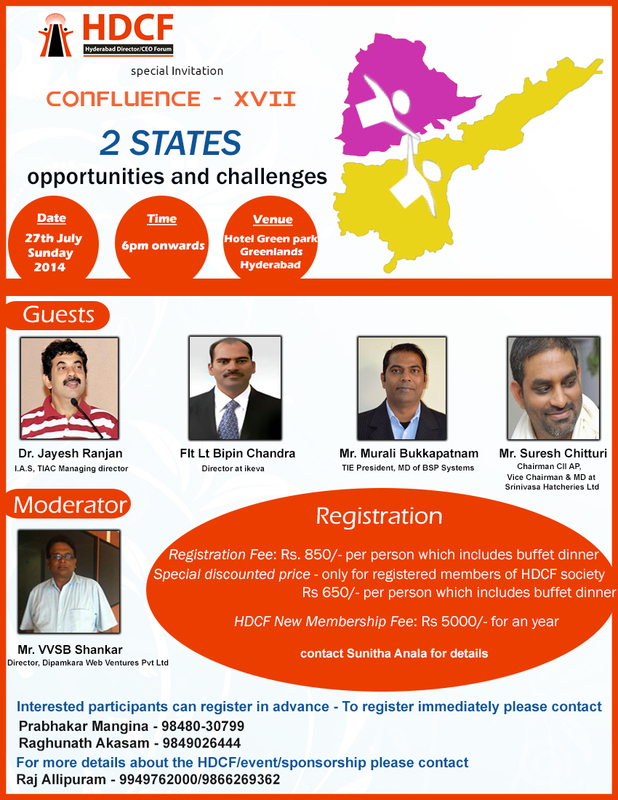 What do Andhra Pradesh and Telangana two parts of the once United A.P have in store for the Entrepreneurial community. in the perspective of a Entrepreneur. Venue: Hotel Greenpark, Green Lands, Hyderabad. 4) Mr. Suresh Chitturi, Chairman CII AP, Vice Chairman & Managing Director at Srinivasa Hatcheries Ltd.